What a privilege to watch him work! Tony Bennett has taken some punches but he's still standing. The man that Sinatra once called "the best singer in the business" survived a mid-life career slump in the 70s and 80s to emerge the other side stronger than ever. Through his series of Duets albums, the most recent of which featured Lady Gaga, his unmistakable croon was introduced to a whole new generation. He is one of the select group of artists to have had a charting hit in every decade from the sixties up to the present day. And he still has that rat pack cool about him too. Catch him on tour this to hear a repertoire that includes everything from Gershwin and Nat King Cole to the signature number I Left My Heart in San Francisco. Sound good to you? 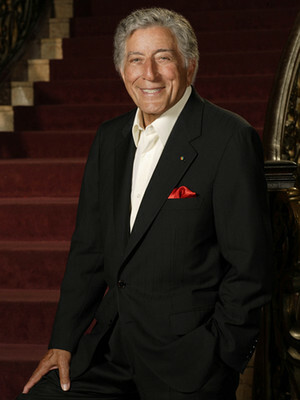 Share this page on social media and let your friends know about Tony Bennett at Radio City Music Hall. Please note: The term Radio City Music Hall and/or Tony Bennett as well as all associated graphics, logos, and/or other trademarks, tradenames or copyrights are the property of the Radio City Music Hall and/or Tony Bennett and are used herein for factual descriptive purposes only. 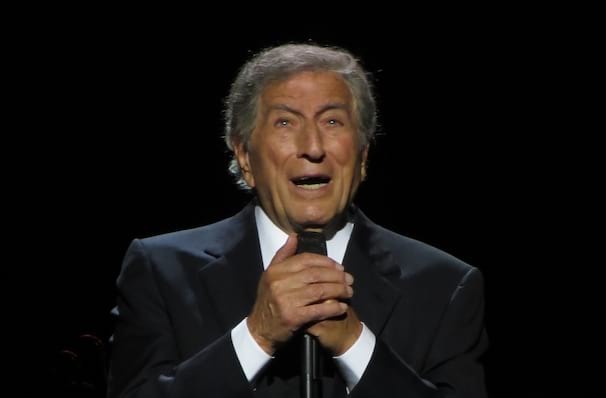 We are in no way associated with or authorized by the Radio City Music Hall and/or Tony Bennett and neither that entity nor any of its affiliates have licensed or endorsed us to sell tickets, goods and or services in conjunction with their events.